Like gravity, microwaves, and Westworld, red wine is something that most people enjoy, even if they don't really understand it. 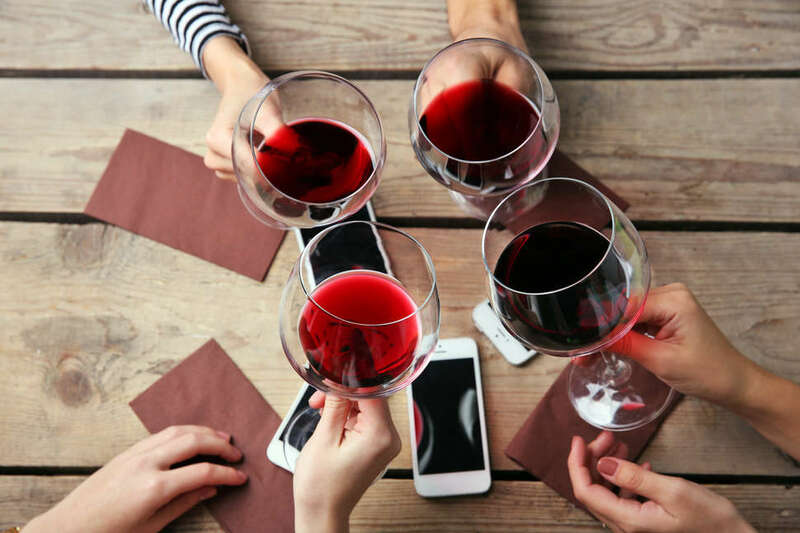 It's easy to drink red wine (obviously), but -- even if you are embarrassed to admit it -- there's a contingency of wine drinkers who wouldn't be able to tell the difference between a merlot and a malbec. We're here to give you a judgment-free, non-pretentious explainer on every major red wine varietal, under the tannin-loving tutelage of Mattie Jackson Selecman, owner and sommelier of Salt & Vine. She's a true believer in wine education, sans shaming. If you never ask, you'll never know -- right? Consider this to be your red wine bible. Bookmark it. Bold, high in acidity, savory, elegant, and dry: This is a "serious" wine, for "serious" wine drinkers. It's also a safe bet if you are ordering off a menu or buying a bottle. It may be complex -- but it's also something most casual wine drinkers are used to drinking. "Cab is certainly the most planted variety of grape, worldwide. It's probably the most well-known among consumers. I'd call it the all-star of grapes," Selecman said. "It's almost like, if you are serious wine person, you 'should' be drinking cabernet. It's the IPA of wine." Best food to pair with it? : Cab needs fat to latch onto -- if you don't have fat or salt in your meal, the dryness of the cab will coat your tongue and might make it feel kind of... gross, for lack of a better word. 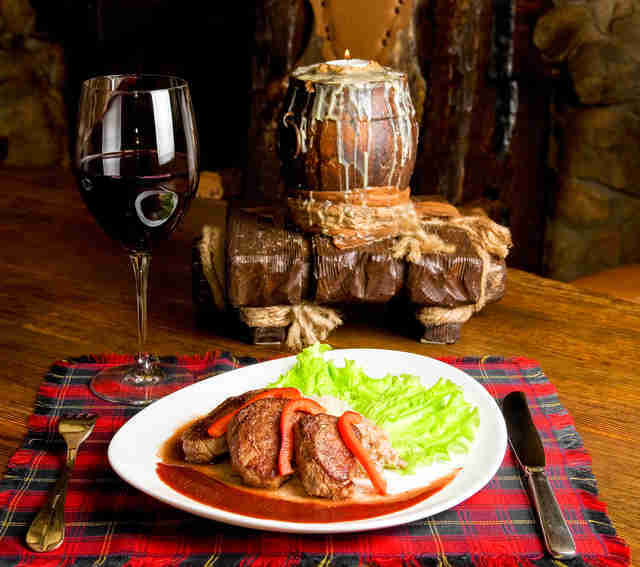 If you're at a steakhouse, your go-to order should be cabernet sauvignon. Despite what Paul Giamatti and his buddy-wino movie Sideways will have you believe, merlot isn't a scourge on the red wine universe. "Merlot might get a bad rap... because when it's bad, it's really bad. It's also a simpler, sweeter wine, and some people might confuse that with a lack of quality," Selecman said. Inherently luscious and velvety, fruity, soft, and drinkable, merlot yields a softer, smoother texture compared to wines like cabernet sauvignon. But that doesn't mean you aren't allowed to like it. Give it a chance! Don't let Sideways corrupt your drinking habits. Best food to pair with it? 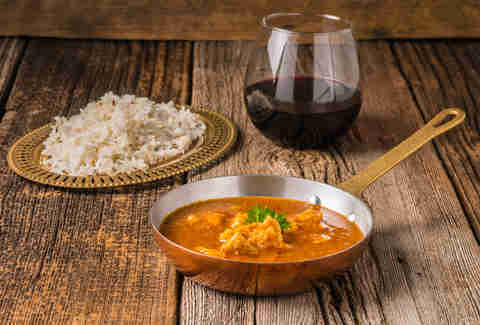 : It's fairly food versatile, and it definitely doesn't demand being paired with fatty, saltier foods -- like a cab. Vegetable-based dishes or tomato-based pastas are excellent counterparts to this varietal. Somewhere between the muscle of a cab and the fruity softness of a merlot lies the malbec. It's the best of both worlds. "Generally, winemakers use oak barrels with malbecs, so a lot of them have a nice, toasty, smokey, graham cracker-y flavor. It's not expensive to grow, and it's able to please people on both sides of the cab and merlot aisle. It's become increasingly popular over the past several years for this reason," Selecman said. If you are stuck juggling between the cab and the merlot, pick up a malbec. It's like the Goldilocks of red wine. Best food to pair it with? : "My go-to here is BBQ, brisket, pulled pork... any sweet and spicy food," Selecman said. "Malbec complements them very nicely. Which isn't easy to do." Supple, silky, fruity -- but with a little more complexity than merlot -- pinot noir is just behind cab in terms of overall wine popularity. Compared to other wines, it has a lighter body, and is less overtly tanic. This makes it a very drinkable, yet respectable, wine. "Pinot noir is great for people who want something fairly accessible, but also want something a little more interesting," Selecman said. "There's often an underlying earthiness to this wine that makes it a little more compelling, and a great complement to so many foods." Basically, if you want a sure thing -- but also want to get a little weird -- trust pinot noir in your glass. Best food to pair with it? 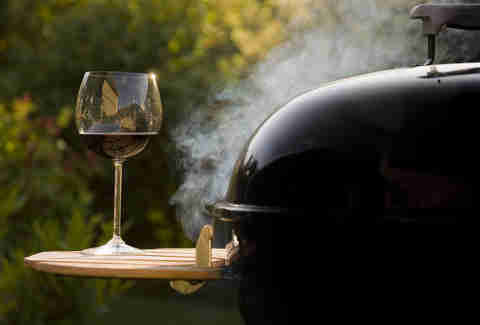 : "People say don't 'drink red wine with fish.' When combined with Omega 3s and all the fats in fish, tannins can create this weird metallic, copper flavor," Selecman said. "Pinot noir is very light in tannins, so it won't give you that unsavory taste. Pair it with some barbecue-glazed salmon, ideally." Let's get this out of the way: these two wine varietals are often confused, because they are the same grape, genetically. Syrah -- typically associated with France -- is generally leaner in profile than shiraz, which is an Australian blend. "With shiraz, you might get a juicy, blackberry taste, full of plums or other darker fruits," Selecman said, "almost giving you a 'wine cocktail' taste. Its French counterpart might be a little bit more tart, with less complexity. But they are both very easy to drink, and great wines to bring to a party. 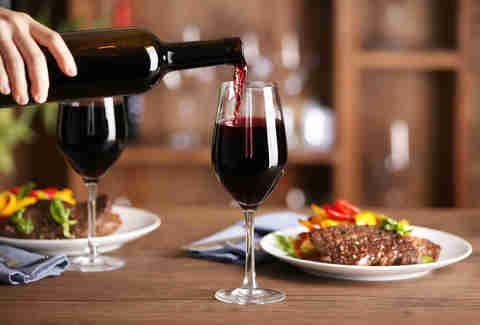 If you like red wine, you'll probably like either version." This wine, by any name, is definitely a crowd pleaser. Best food to pair with it? : This is one of the rare red wines that pairs well with spicier foods. "It has a high fruit profile, and Indian or Thai food won't overpower it," Selecman said. "In fact, it will help the spice shine through in your dish." Consider the zinfandel to be "America's variety." How patriotic! "Zinfandel isn't really grown or found in too many places outside of the United States," Selecman said. "It's fruity, has a high amount of spice, and is pretty high in alcohol content, generally." Many zinfandels have a cherry or strawberry-leaning juicy fruitiness. It's lower in tannins, with a fuller, smoky body -- making it easy to drink, while maintaining some complexity. Best food to pair with it? 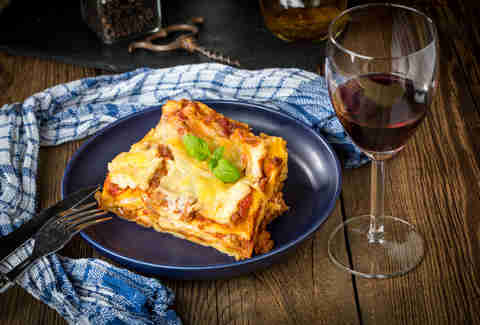 : The unique flavor profile of the wine makes it an ideal counterpart to pizza, cheese lasagna, and other foods with tart sauces and cheese. But since it's so quintessentially American, try it with grilled cheese. If zinfandel is America's wine, sangiovese is Italy's national vino. "This is the most planted red variety in Italy, and Italian wine in general is much more tart, lighter in body, and more acidic than most of these other styles," Selecman said. "It's dry, savory, and astringent. Because it can be a little harsh, this is a wine that's better enjoyed with food, than on its own." Luckily, Italy is known to have quite a few dishes worth trying, so that isn't really a problem. Best food to pair with it? 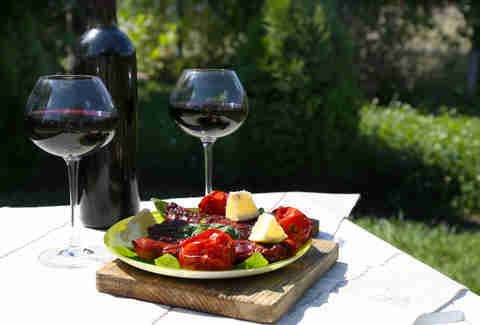 : "Aside from most Italian foods, gamey meats go outstanding with sangiovese. The wine helps bring out some sweetness in meat, venison, and duck. 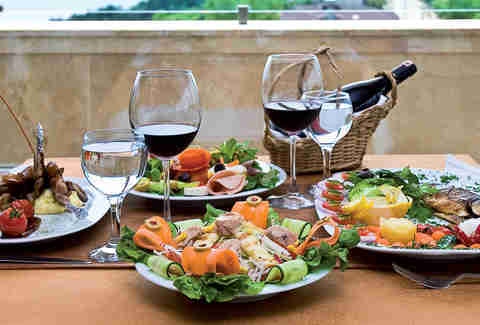 And of course, it goes exceptionally with tomatoes, vinaigrette, and balsamic sauces and dressings. Some wines can taste kind of flat with these stronger flavors, but anything with an acidic component can blend well with sangiovese."